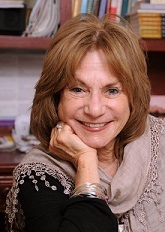 Imagery as a Transformational Process – Judith Ruskay Rabinor, Phd. People with eating disorders are frequently described as concrete, flat and difficult to make contact with. Often they report feeling empty inside. Disconnected from their inner worlds, they are isolated from themselves, other people and oftentimes even their therapists. A major aspect of the therapeutic journey involves helping them connect to other people as well as with their disowned thoughts and feelings. In my clinical experience, I am impressed with the power of imagery to tap into parts of their inner world inaccessible by talk therapy. Join me in my office with Andrea (a pseudonym). I am pleased that she has become aware that “feeling fat” is not about being fat but is a signal that something deeper is amiss. I ask her to recall when it was that this fat “feeling” began. She shrugs, and looks at me blankly. Here is a moment, I think, when perhaps imagery may help us. “Are you willing to do an experiment?” I ask, and with her nod, we begin. “Close your eyes,” I say, shifting my voice to a lower and slower pace. “Take a breath, and let’s see what happens if you breathe deeply – and as you breathe, go back, back into time, make contact with the moment when you began to feel fat. See if you can get a sense of where you were, what was happening, as this “fatness” began to creep over you.” At this point I close my eyes, hoping that in joining her my silent participation will make it safer for her to go inside. By welcoming the darkness into the room, I metaphorically invite her to welcome the darkness of her soul. She is silent for a moment and then speaks. “Take another breath, and as you slow down, see yourself with the rye bread. Where are you?” I ask. “It is dark and I am crying,” she says after a moment of silence, and a trickle of tears leaks out, as does her story. The night before, as dinner ended her live-in boyfriend Ben announced that he had gotten fired, again. For another month he would be unable to pay his share of the rent. For several minutes she goes on, describing her futile attempts to talk to Ben about their finances. Eventually she begins recalling other men, previous relational disappointments. Once again, she reminds me, she was “getting stuck.” As she continues talking, I realize she appears detached from her words. A hollowness hangs in the air. I am feeling exhausted, and it seems the energy has drained from our session. I wonder if her energy is hidden in her body. Aiming to deepen her connection both to herself and to me, I intervene with body-based imagery. to do another experiment? She nods. “Right here,” she says, putting her hand over her left shoulder blade. “Be with your shoulder blade,” I say. “Stay with it a moment. Sense it. “What does the shoulder blade say?” I ask. “What’s this like – sitting here with the lava rock?” I ask. “What does your heart say?” I ask. “How long has your heart known the lava rock?” I ask. I ask her if anyone comforted her. At first she says no, but eventually recalls being with her mother who was stroking her hair. “Can you take a moment and be with that memory of your mother stroking your hair?” I ask and Andrea begins to cry again. “I haven’t seen my mom in months,” she says, and begins discussing how hard it is for her to be so far apart from her family, who now lives across the country. “So perhaps you can take a minute to be with her, now,” I suggest. “Know that this feeling, the one you have now, inside of you is yours, it is something you can come back to whenever you want.” I say. Immediately following this session, Andrea returned a telephone call to a cousin who had been attempting to contact her. At a dinner date that followed, she confided her bulimia. We returned to this piece of work repeatedly as we explored her difficulties reaching out to others and acknowledging her need for food, comfort and human connection. Months later, she made plans to go home for the Christmas holidays. Many psychological and spiritual traditions teach that deepening our connection to our own inner experience as well as expanding our connections to others are at the core of the process of healing. I believe that imagery facilitated these goals in my work with Andrea. While our relationship started with words, the purpose of the talking was to create a context for deep healing that moved beyond the words alone. (In Winnicottian terms, I created a safe holding environment.) In inviting her to “experiment” with me, I presented myself as a learner rather than an expert. I empowered her by creating a collaborative relationship. Using her imagery further underscored the notion that the power to heal resided within her. Following her imagery enabled us to access the trigger of “feeling fat,” a failure to feel loved and important. Subsequent imagery allowed her to vividly relive earlier memories of disappointment, abandonment and shame. Finally, recalling her mother’s soothing touch allowed her to honor her need for connection and offered her a transitional object that could nourish and sustain her in other difficult times. By slowing down her pace she connected with her mind-body and wound up in her heart, the interface of the emotional and physical world. Once grounded in her own heart, a rich inner world of memories emerged. In Herman Hesse’s novel SIDDHARTHA, the seeker of enlightenment, Siddhartha, ends up beside a raging river in India. A voice whispers, “Love the river, stay by it, learn from it.” Like the river of life, by staying with our images we and our clients have endless opportunities for learning, growth and transformation.